‘Sign Language‘, a slideshow of “amusing and confusing” signs encountered by readers across the globe, is published weekly in the online pages of Telegraph Travel. 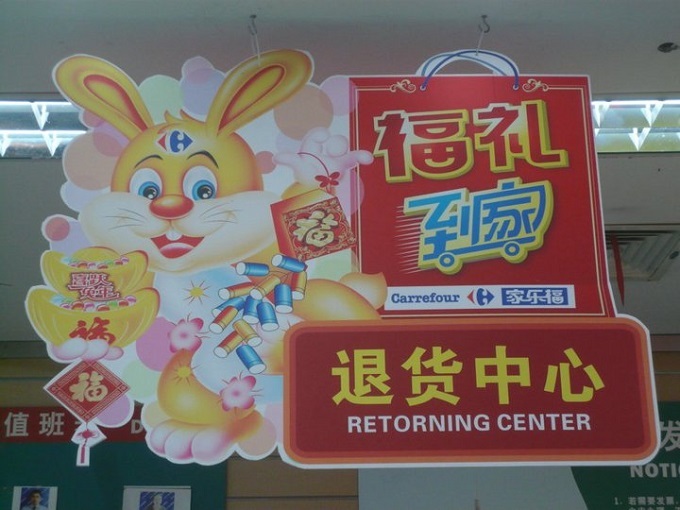 While these signs are seen everywhere – including the UK – my own experience of weird word usage comes mostly from my time in China. Characterised by literal translations, misspelt words and confused contexts, ‘Chinglish’ is essentially a marriage of Mandarin and English, two of the most widely spoken languages on the planet. Languages have long influenced each other; you only need to look at the linguistic inbreeding in Europe to realise this. Chinglish, however, refers specifically to English in a Chinese context, where troubled translations go unchecked before being plastered onto everything from store fronts and sweaters to road signs and notebooks. I found these Chinglish phrases endearing, little idiosyncrasies that never failed to make me smile; I’m sure the shopkeepers on my street thought the same of my mangled Mandarin. However, not everyone is as enamoured with these language laughs as I am. 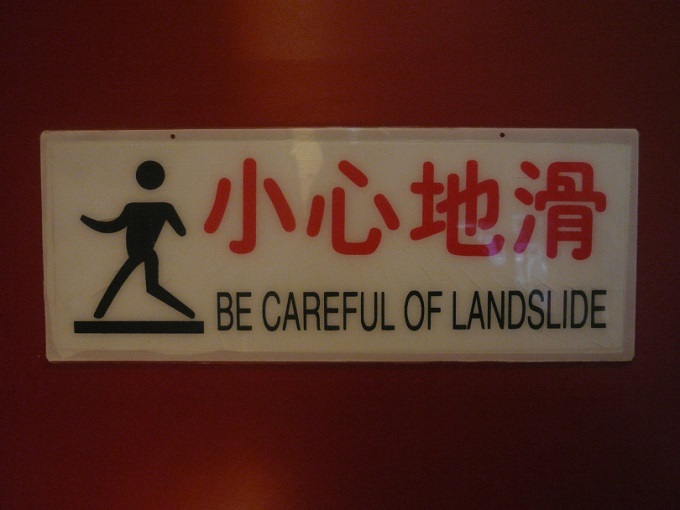 Prior to the 2008 Olympics in Beijing, and again before the Shanghai Expo in 2010, officials in China made concerted efforts to eradicate as much ‘Chinglish’ as possible from these cities before the international crowds descended. In spite of this, I don’t think the cross between Chinese and English is something you can remove from the linguistic landscape with a bureaucratic ballpoint. I came across it daily while teaching high school students, who wasted no time in squealing “Chinglish!” if a classmate made a mistake. 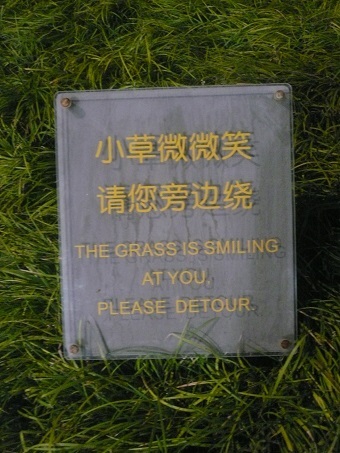 While many translations you come across in China are almost poetic, others really are ridiculous. 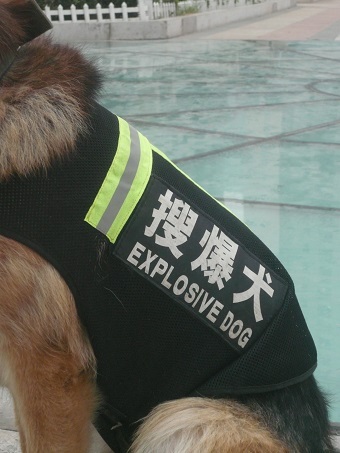 A dangerous-looking Tianjin police dog. 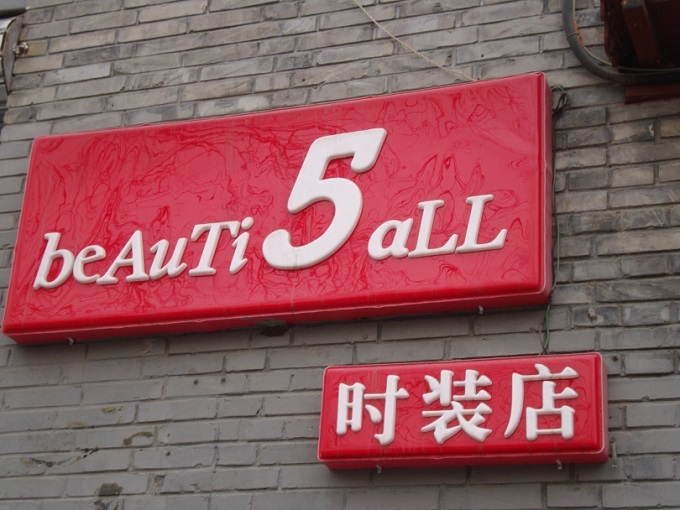 At first glance this sign seems to be a silly mistake – a substitute that somehow missed the relationship between “four” and “for” – but there is likely a deep-rooted reason for the unexpected laughs this Beijing beauty salon brings. The Mandarin for the number ‘four’ (sì) sounds similar to that for ‘death’ (sĭ); because of this, the number four has the same unlucky reputation in China as the number 13 does in the UK. 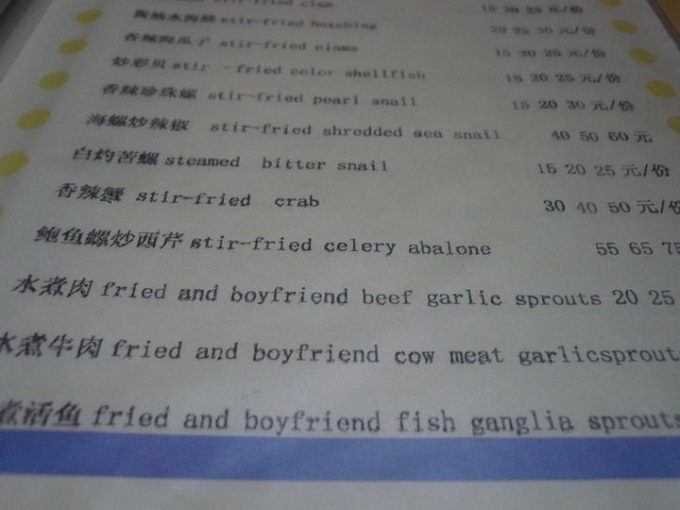 Spotted at a seaside restaurant on the island of Gulangyu: fried boyfriend beef. Proclaiming its warning proudly at the side of the stairs, this sign in a McDonald’s in Beijing’s Chaoyang district made me laugh every single time! Earlier versions of this post appeared in my original travel blog, Tianjin Tales. « Big Apple Burgers: Which One Wins? Hilarious! I’ve had a recent trip too. If we’ve crossed paths, you might recognize some..